Taste test: These are good chips. 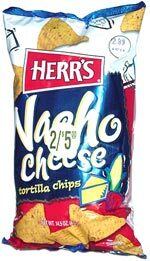 They're a bit less cheesy and more tortilla-y than Doritos Nacho Cheesier, and many people said that they like these better than Doritos. Smell test: Smell the same as Doritos.